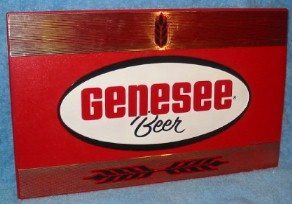 Genesee Beer; 15 1/2 x 10 inch, embossed plastic sign. Appears there was some sort of stand on the back that is missing. Probably 80’s vintage. Very nice shape.